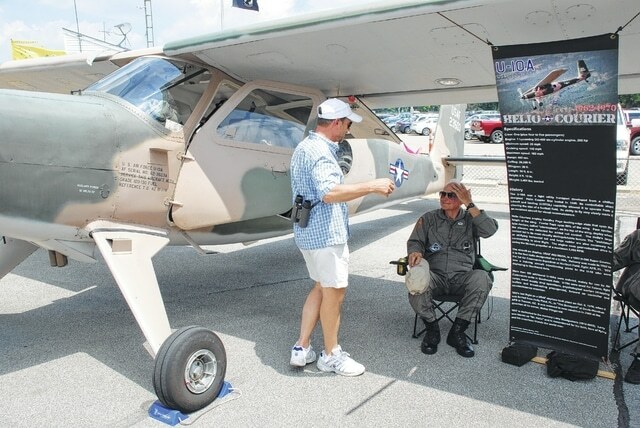 Larry Rowse (left) talks with Darryl Neidlinger at the U-10A exhibit during Military Appreciation Day at Grimes Field on Saturday. The U-10A on display from 1962 was the first one delivered to the U.S. Military. The event emphasized and honored the service of Vietnam veterans.